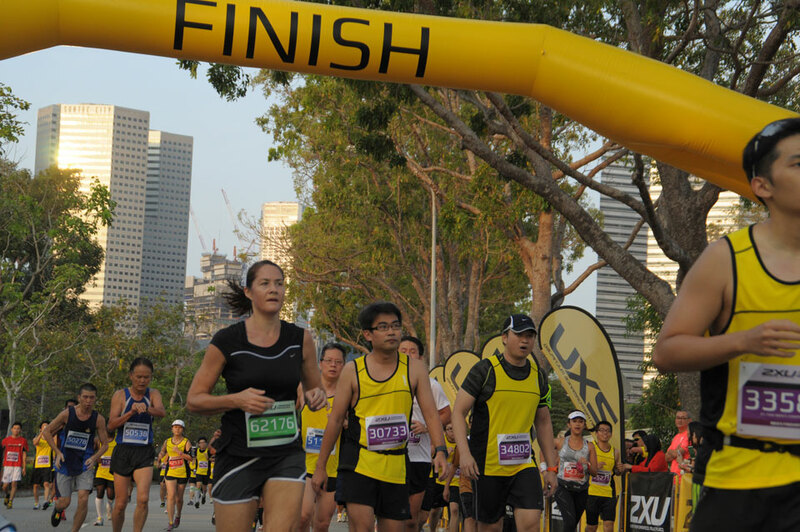 Can You Believe These Singapore Running Events Changed People's Lives? 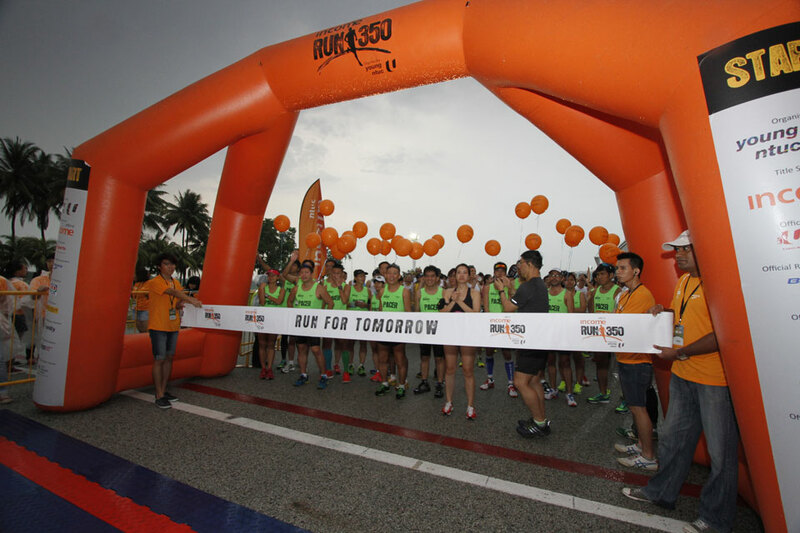 Can You Believe These Singapore Running Events Changed People’s Lives? You’ll laugh, you’ll cry, you’ll relate. We celebrate the honest challenges of running. 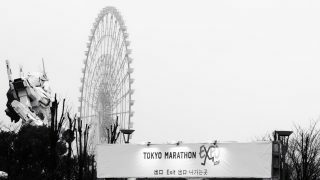 Emotional, relatable, real runner stories participating in noteworthy events. Whatever road your life may take, serendipity can change your direction in a heartbeat, and if that life-changing moment happens at a race, what could be more sublime? Whether you’re the person who has the “wake-up moment,” or you’re a bystander who benefits, one person's story is like a rock thrown into water that causes a ripple effect so profound, it inspires, motivates and touches others - and maybe even changes lives. The lesson: Even those who have passed away can still motivate us. 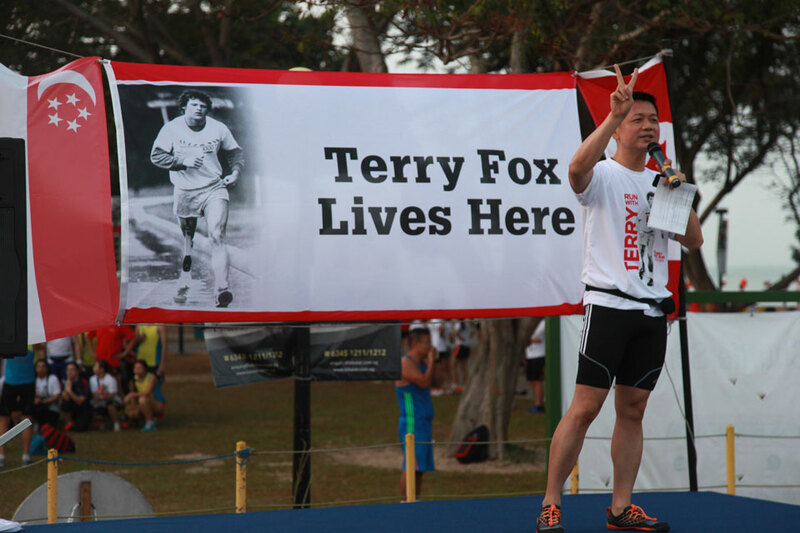 The story: Terrance Stanley (Terry) Fox was born in Canada, but he’s beloved by Singapore runners for his strength, courage and wisdom. The one-leg amputee set off on a trans-Canada run to raise money and awareness for cancer research in 1980, travelling 5,373 kilometres in 143 days before the insidious disease claimed the 35-year-old. 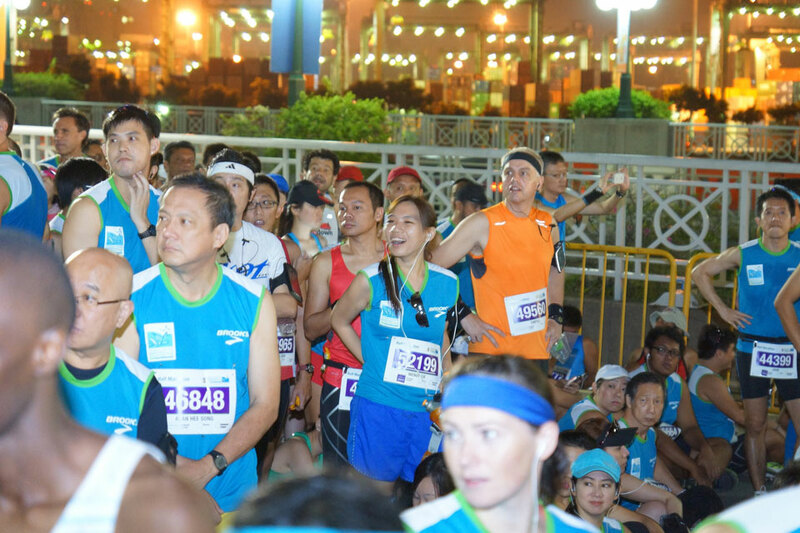 Terry Fox Runs are now held around the world, but Singaporeans like to think the best of the bunch is right here, every year, when the largest single-day run for cancer research is staged. The lesson: Humans aren’t the only animals capable of bringing joy and happiness. The story: Not everyone who ran this premier event in 2009 knew it was staged in memory of Ah Meng, an Orangutan that delighted Singapore children (and adults) for years before the primate’s untimely death. Over time, the Singapore Zoo moved on and there’s a new Ah Meng on hand to delight visitors. Because the new primate continues to spread joy and delight to visitors, who knows how many are inspired by her antics every day? Use code: SZR2017RGRSC10 to get 10% off. The lesson: Humor is a handy tool when no harm is meant! The story: Chef Tam Chua Puh had a plan in mind and finished first in the Standard Chartered Marathon Singapore 2013. Race officials were shocked. Hours later, organisers had to disqualify Tam and declare Mok Ying Ren the winner. Was Tam guilty of being naïve or manipulative when he innocently told media that all he wanted was the medal and shirt? The lesson: Even if you've had setbacks in life, you can still keep going. The story: Diagnosed with Multiple Sclerosis, Shannon Heo didn’t let the condition keep her from running the Sundown Marathon 2014 to raise funds for three other causes: Three Legs Good, the Singapore Cancer Society and the Down Syndrome Association of Singapore. If her unselfish act doesn’t inspire you, nothing will! 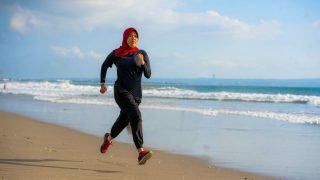 Heo believes that running helps manage her symptoms as she makes the necessary adjustments to compensate for extreme fatigue, vision problems, muscle weakness and loss of balance. Her 42km run represented not only victory over an incurable illness but hope for other MS sufferers who prefer to be victors rather than victims. Use code: SDM2017RGRUNSOCIETY to get 10% off. The lesson: Never ignore your own well-being just to set a record. 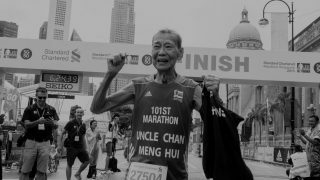 The story: Imagine 45-year-old Martynn Koh Tong Yong focusing on a new PB while preparing to run the 2XU Compression Run 2014. Fast forward to the 11km marker. Martynn collapsed and unfortunately despite medical aid, he didn’t survive. For fellow racers and medical personnel who tried to save his life, none will soon forget lessons learned: even healthy competitive runners must not be so focused on a running goal that they ignore their health. Doctors believe Martynn ignored signs of heatstroke, low blood sodium levels or disorientation to keep going, a cautionary lesson for every competitive runner. The lesson: Sharing victory can be the most wonderful outcome of all. The story:Need a few heroes? 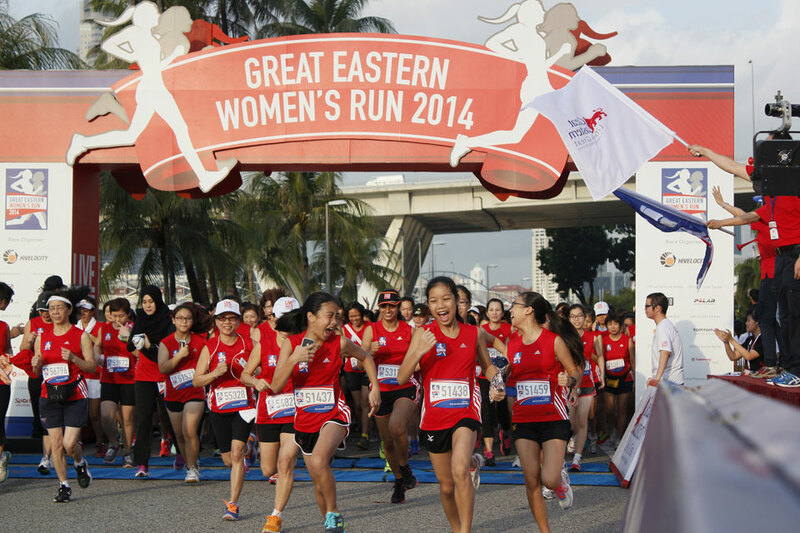 Start with Neo Nieshi, whose 2014 Great Eastern Run resulted in her optimistic, post-race conclusion that she hadn’t expected to win because her competitors were so formidable! 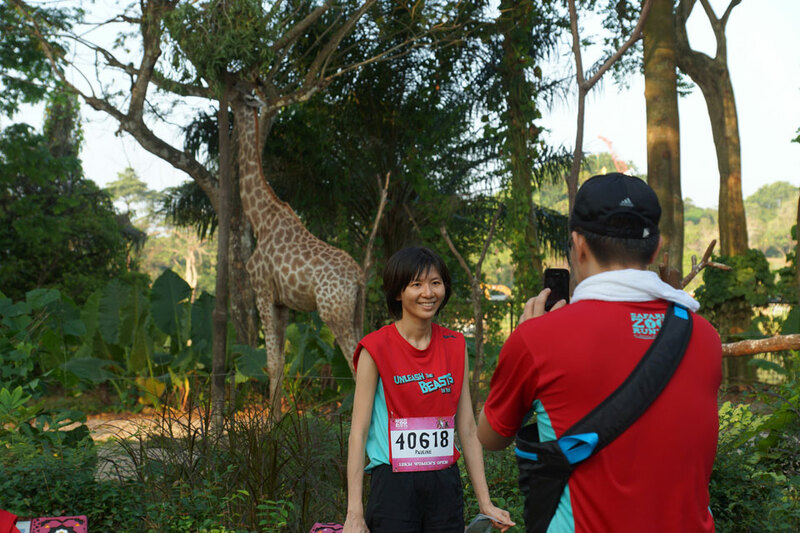 At the same race, Mok Ying Rong, considered an elite runner, is smart enough to know that every race is a new beginning and she never takes victory for granted. When the leader board posted her 1:28:48 finish, she rejoiced, but modest to a fault, Mok graciously insisted that the honour came from being part of the Singapore team, not personal achievement. Both women show us what true winners looks like. The lesson: Don’t compromise your health because someone else behaves badly. 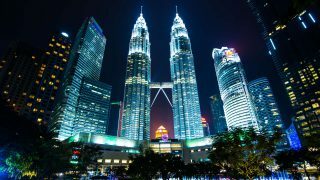 The story: You never know whether someone else’s behaviours will affect your own which is why one blogger still can’t forget passing the 10km mark at the Income Run 350 2014 before a stop at a hydration station. From the corner of her eye, she spotted a man using both hands to scoop up as many gel packs as his pockets could hold! The act so disturbed her that she turned down a banana at the 14km mark and risked cramps or worse because she could have used that potassium. 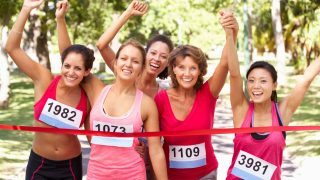 Lesson learned: Just because other people behave badly, that’s no reason to deprive yourself of resources you need to finish your race in good health! The lesson: Running has the ability to teach valuable lessons to kids. The story: Visit this blog if you want to be charmed. 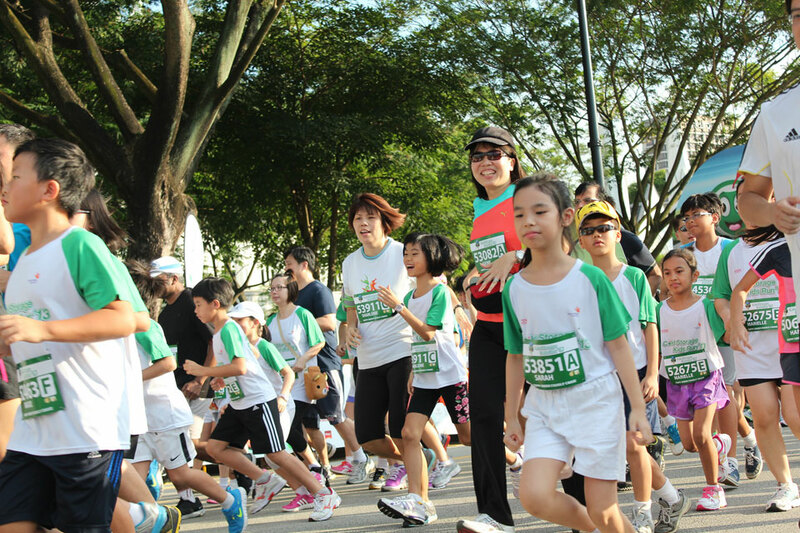 The blog is authored by a dad whose reportage on the annual Cold Storage Kids Run includes advice to his little daughter. Whether or not your child participates in a Cold Storage Run, do share these four principles. Never stop. When things slow you down, keep your eye on the goal. Look for that line. That finish line is only as far as your efforts will take you. Stay focused. People will try to distract you but keep your eye on the horizon and ignore them. 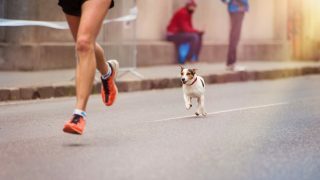 Run with a partner. Life isn’t meant to be lived alone; surround yourself with people who will always be there for you. The lesson: Win or lose, being a team member is one of life's most powerful experiences. 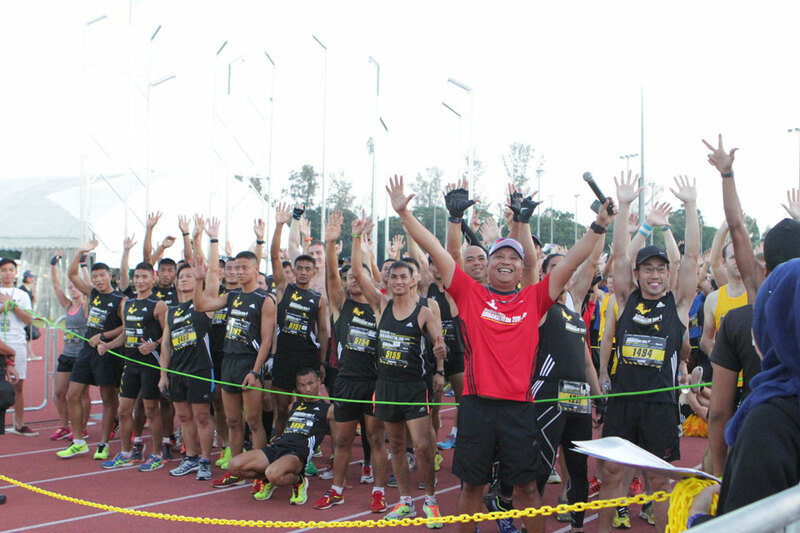 The story: Running for a cause is fun, but being part of tight-knit marathon group is the ultimate thrill, which is why a team representing radio station ONE FM 91.3 competed at the 2016 Men’s Health affair on 13 March. 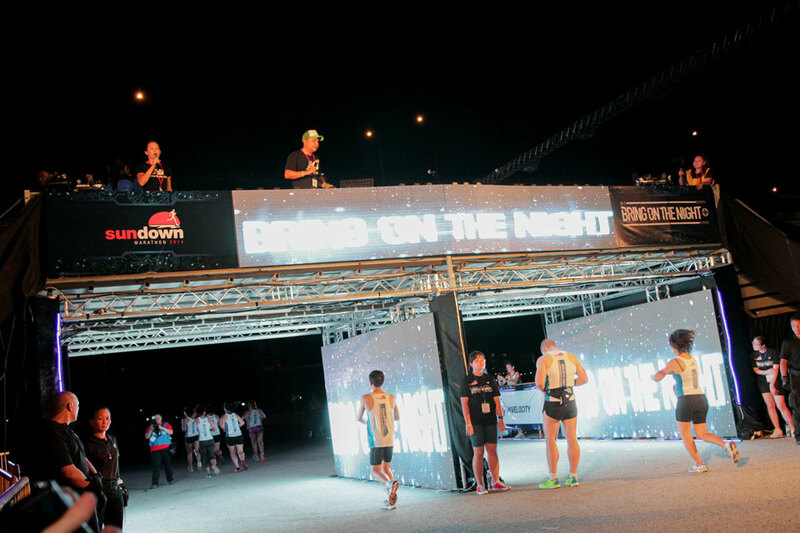 It may be the seventh time Singapore hosts the event, but the team of DJs and personalities, including Glenn Ong, Cheryl Miles, Elliot Danker, Harry Corro, Andre Hoeden and Shaun Tupaz, compete together for the very first time. 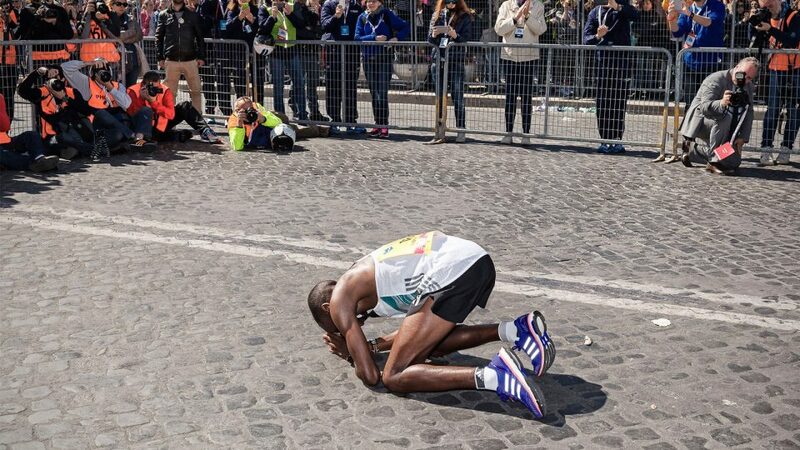 Have you ever been inspired, changed or educated by witnessing another person’s action at a marathon? We would love to add your experience to our archives.